YOUR SEARCH ENDS WHEN OURS BEGINS. BRINGING GREAT PEOPLE AND GREAT COMPANIES TOGETHER SINCE 1981. We're a full-service executive search firm and a globally recognized leader. We have a stellar reputation built on 35 plus years of successfully connecting great companies with great people. Knowing that great people are the life blood of great companies, we will thoroughly investigate and determine our clients’ needs and the best cultural fit. We will then leverage our industry knowledge, and our proven search and recruitment methodology that will allow us to identify and attract the best high caliber candidates for our clients. Not just recruiters. We’re a team of tenured consultants with real-world professional experience in the industries we serve. Our unique 25 step process has been refined and perfected for decades—and it's proven to work exceptionally well. We cultivate and nurture truly rich and meaningful relationships with every client partner—we become intimately familiar with needs and expectations. You and your needs are our only concern. The timeline does not extend past the first and last elements. We believe that the best way to serve each client is to learn all we can about their business, their culture and their people. We challenge ourselves to offer a long term partnership that is innovative, dependable, and intensely results-oriented. 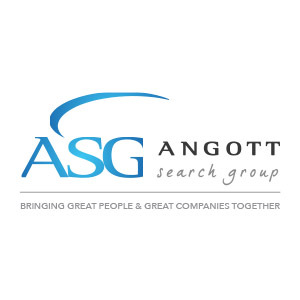 Copyright © 2019 Angott Search Group. All rights reserved.